Antonio Marquis “L.A.” Reid is a label executive and record producer who changed the popular music business, discovering artists whose hits defined the last two decades. He produced and wrote songs for a variety of artists, including Avril Lavigne, Justin Bieber, Usher, Rihanna, and many more. He was even responsible for Mariah Carey and Jennifer Lopez’s comebacks. L.A. Reid began his music career as a drummer in the 70's funk rock band Pure Essence. In the 80s, he played in the R&B band The Deele. He later founded LaFace Records with his bandmate Kenny “Babyface” Edmonds in 1989. LaFace Records, a joint venture with Arista Records, helped OutKast, Pink, TLC, and several others start their careers. He was CEO of Arista from 2000 to 2004, and he moved on to becoming chairman of Island Def Jam Music Group from 2004 to 2011. From there, he became president and CEO of Epic Records until 2017. Through his time at Epic Records, DJ Khaled, Future, and Travis Scott had albums under Reid that debuted at #1. Reid also saw success with Fifth Harmony and Meghan Trainor. In 2011 and 2012, Reid was also a judge on the TV singing competition The X Factor. While on the show, he was beside other big names in music including Britney Spears, Demi Lovato, Nicole Scherzinger, Paula Abdul, and Simon Cowell. After The X Factor, Reid remade Michael Jackson songs and released Xscape in 2014. He sifted through decades of tracks, and his work paid off because the album quickly went Gold. In 2017, he made the New York Times Best Seller list with Sing to Me: My Story of Making Music, Finding Magic, and Searching for Who’s Next. The book is an intimate look into his life, revealing how he climbed to the top and how he could tell who would become a star. 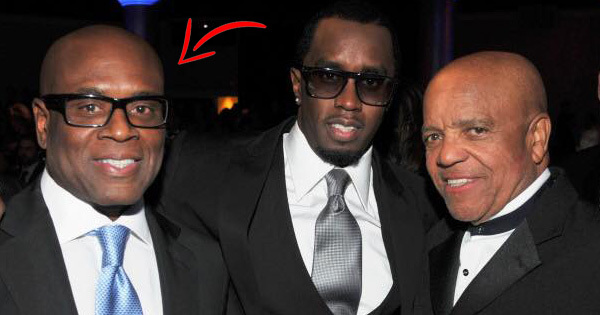 L.A. Reid will always be known as a multifaceted businessman and a legend in talent discovery. He has won 18 Broadcast Music, Inc. (BMI) awards since 2006. He has also won three Grammys. Additionally, he’s received numerous acknowledgements, including the Harvard University Alumni Award for Excellence in Media and Entertainment, the Recording Academy’s President’s Merit Award, and UNICEF’s Spirit of Compassion Award.